As long as you don't live in Holland. The Ford Focus RS will soon be arriving in showrooms, and we’re confident the Blue Oval will have absolutely no trouble finding buyers for its potent new hot-hatch. The question is: what’s the best way to break in their new purchase? Ford Europe has released this video slicing through some picturesque mountain roads, which has the added bonus of giving us the chance to hear its 2.3-liter turbo-four that will come packing over 315 hp. 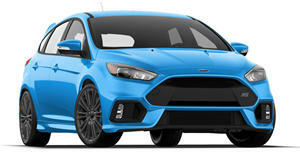 With Dynamic Torque Vectoring, upgraded suspension, lowered ride height, and other performance enhancements, the Focus RS will devour serpentine pavement for breakfast. After watching this video, buyers will want to put this to the test immediately.